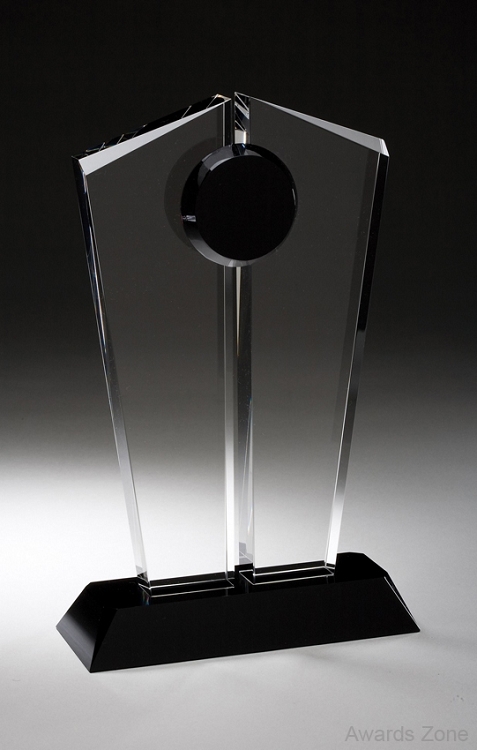 Optical Crystal Split Pane Design Award 6½”x 10” Two clear crystal panes sit side by side on a black base. There is an emblem connecting the two panes. Free engraving. A crisp crystal design, makes a nice executive trophy.